Zoho Books helps you manage your business finances, keeps you GST compliant, and makes GST filing effortless, all with a single software product. Enter your GSTIN, username, and a starting date while setting up your account. Zoho Books will automatically compile all your taxable transactions from that date to make tax filing a piece of cake. 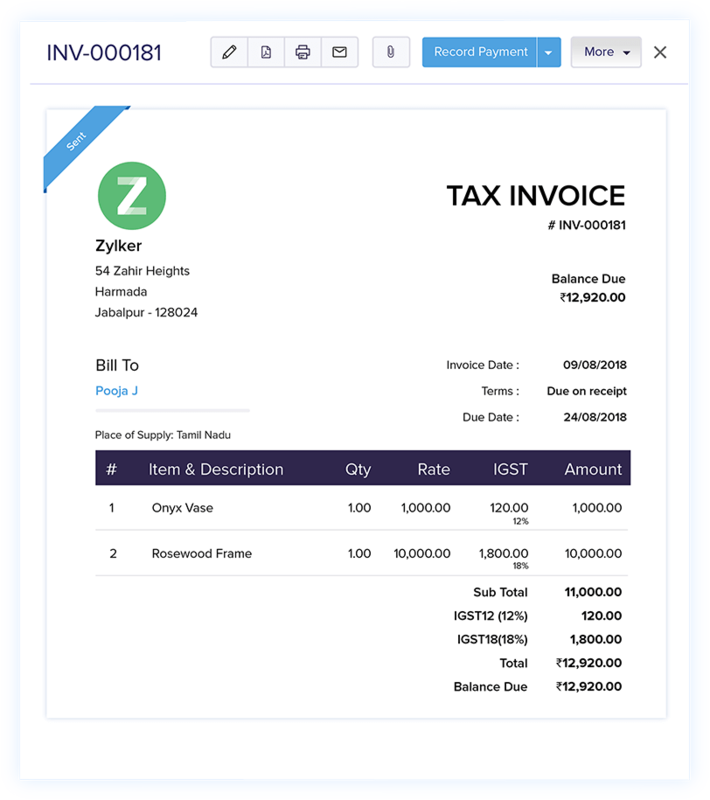 Provide your contacts' GSTINs and assign appropriate tax rates, and Zoho Books will identify the tax components to be collected and paid on each transaction. 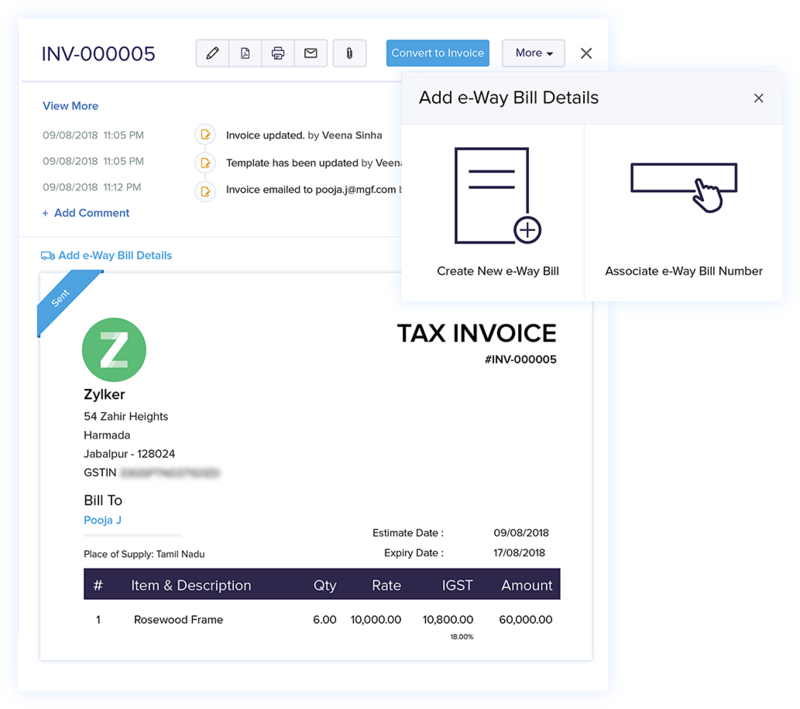 Zoho Books helps you capture important details like GSTIN, location of supply, and appropriate HSN/SAC codes in each invoice. 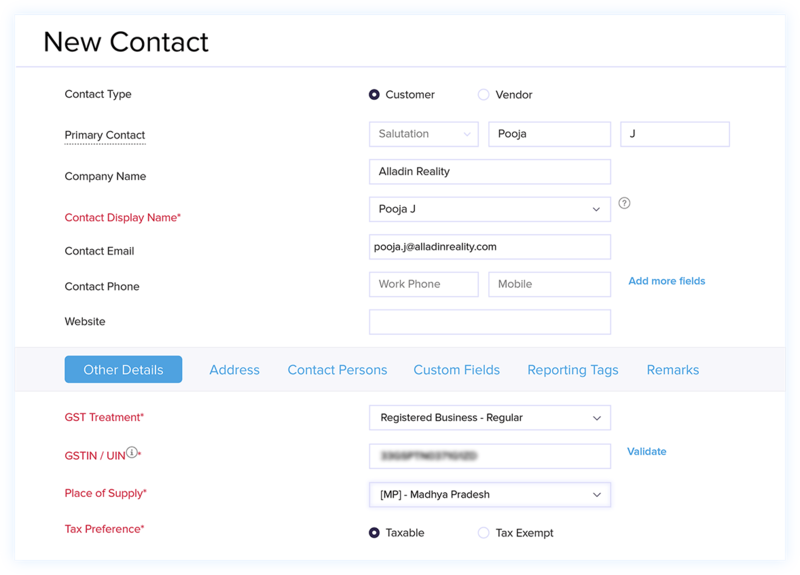 You can customise your invoices to reflect your brand while complying with the government's mandates. 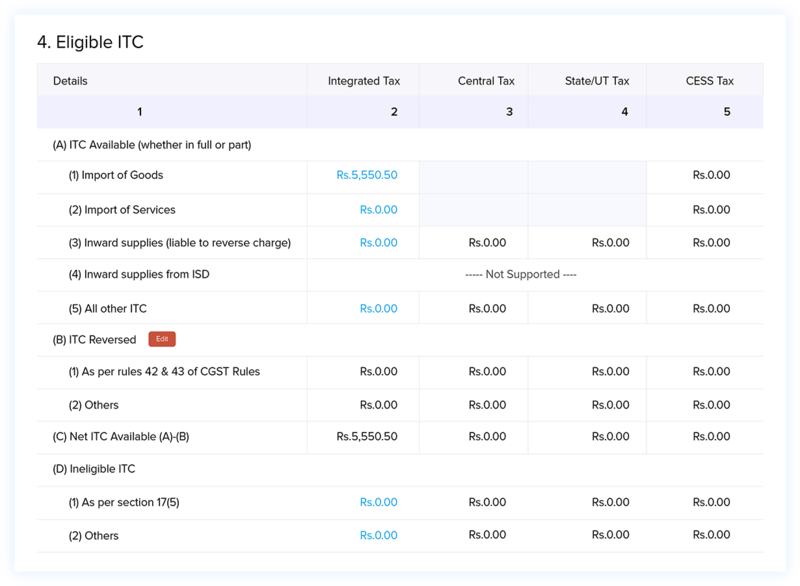 Choose if your purchase transactions and expenses are eligible for input tax credits and reverse charge at the time of creation, and Zoho Books automatically consolidates them in your GSTR-3B report for you. 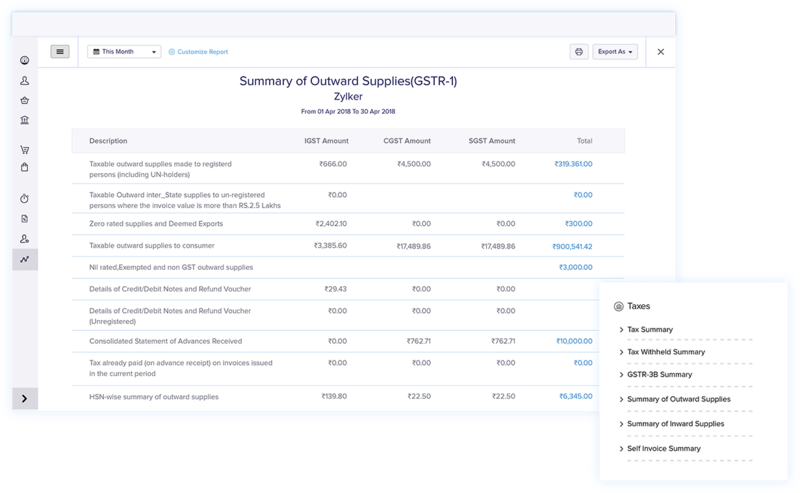 Simplify the process of filing and recording your GST with powerful reporting tools. 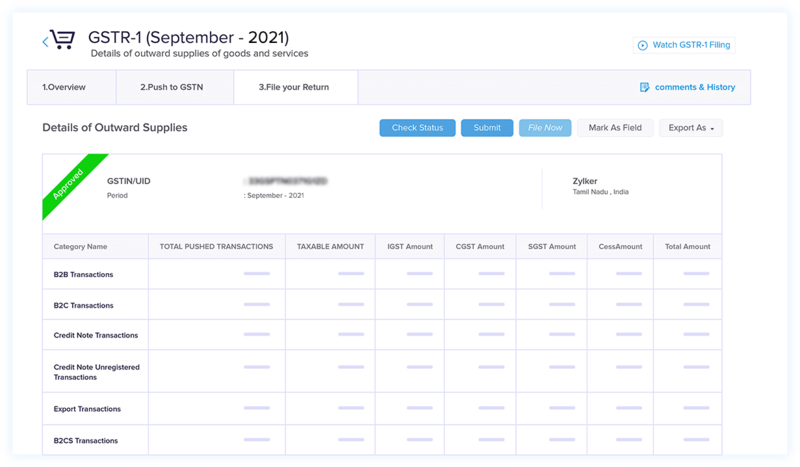 Zoho Books calculates the GST you owe and the amount you can reclaim in reports that are ready to be filed at tax time. Generate and file all your GST returns easily with Zoho Books. 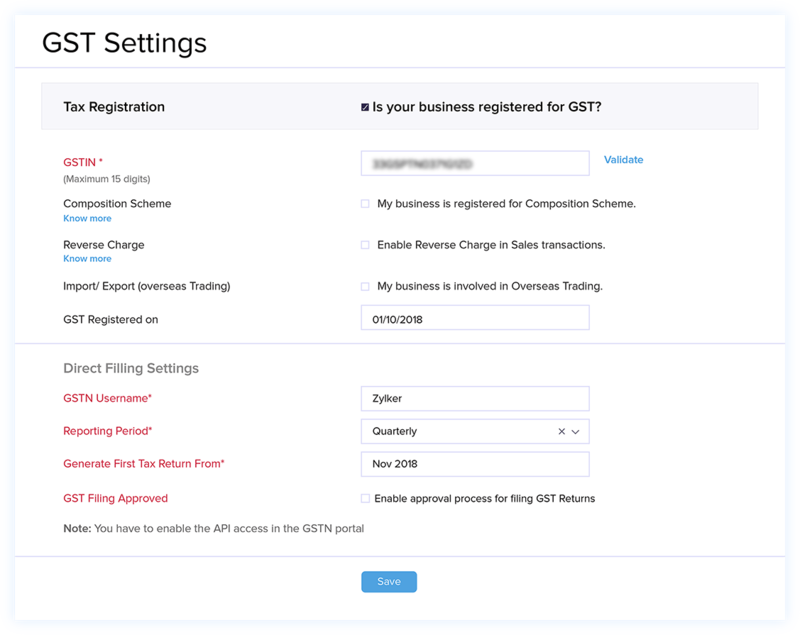 Once you're done reconciling your transactions, you can file your GSTR-1 at the click of a button, right from your accounting software.